Earthouse is a unique company that is committed to keeping eco-friendly methods of building alive. Most of the materials we use are found within about 20 miles of our base in Plymtree, Devon and are taken from sustainable sources. 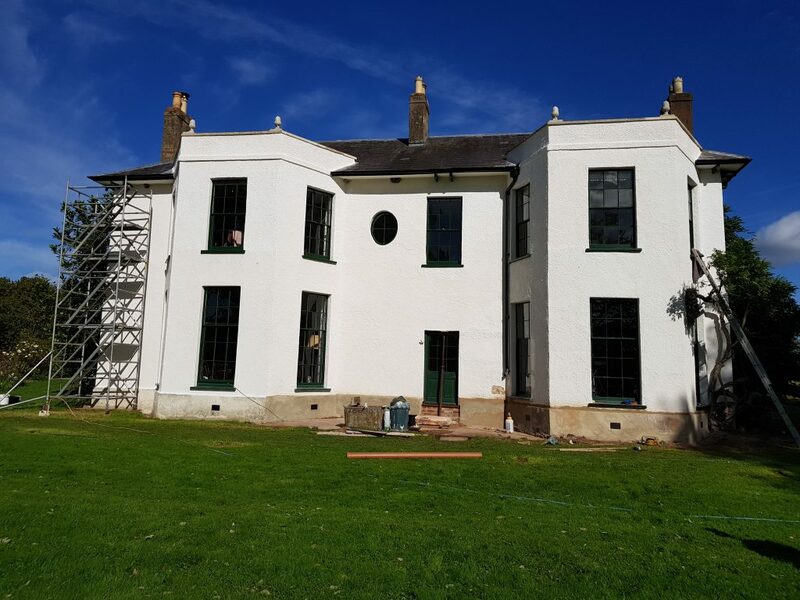 We use traditional methods of construction, painting, rendering and plastering. If you live in a historic cob property or are considering buying one to restore, please contact us for further advice. We provide a start to finish service and can offer planning advice, drawings and all the help you require to bring your character home back to life. Whether you are considering building a new property or restoring a tiny farm cottage, our attention to detail is always the same. We only use tried and trusted contractors that we have worked with for many years and know that every finish, be it a waxed oak floor or an ancient stone wall, will be of the highest possible quality. We are able to arrange site visits to showcase our work and can provide references from previous clients if required. Our Blogs page has more information about Restoration with stage by stage projects and photos. There are several points to consider when buying, or considering restoration work, on an older property. We have found a useful article on Historic England’s site which may help with this process. For more information, please read this article: Owning an Older Property.